Hello Paul – When I connected the “Surprise” cable I was surprised (shocked), and impressed. The difference in sound between my existing cable and the cable was clear, obvious, and I could hardly believed my ears. What a clean sound? Excellent resolution! Voices are clearer, and much more distinctive, with a lot of finesse. Fantastic sound stage, and stereo localisation. All records (LP, and CD) sound better. All sounds, voices and instruments are so clean, and undistorted. Listening is a joy, even at much higher volume. No aural fatigue. It is like a »clear and sunny« vs. »cloudy and rainy« day. And this has happened to me? I am in Hi-Fi for more than 45 years! And now, this ‘simple’ cable made all my seven Hi-Fi systems sound better than ever before! Unbelievable! Best Regards, Mitja. Hi Paul, I’m up to 90 hours on the surprise cables, and did my first A/B comparison vs Acoustic Zen Hologram II cables (about $1,200 USD retail). I’m happy to say the surprise cables have a nicer, more open midrange, and better inner details than the AZ. The sound is smooth overall, but still light in the bass. The bass is clear, but does not yet have that fullness and depth, compared to the AZ. I’m curious if you’ve tried doubling up on the surprise cables ie using two runs. Doubling the number of conductors might beef up the bass. Size: 2,5 mm2 (~13 AWG) Cable has Seven strands and is made of “OFC” copper and One of the two wires is marked with a black stripe. Construction: Each strand has 32 wires of approx. 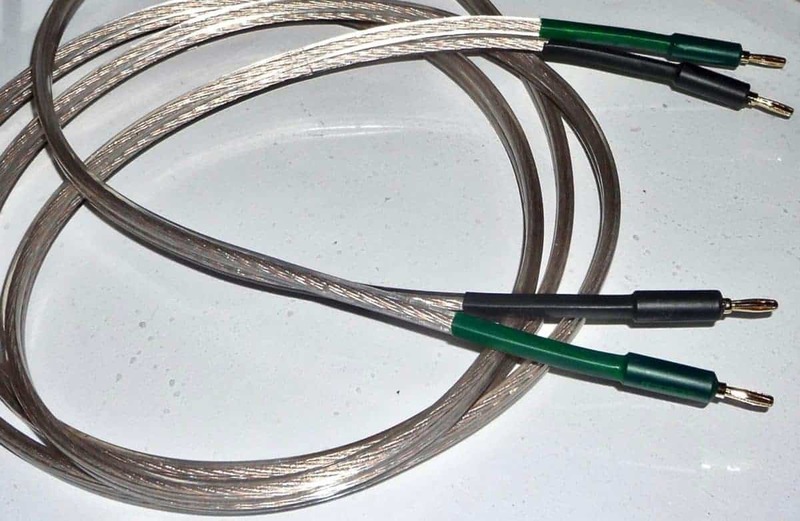 0,125 mm and three of the strands are of tinned copper wires. Insulation: Transparent Vinyl. Resistance: Below .02 Ohms per Meter Capacitance: Lower than 75 pF per Meter. Oxidisation: No tendency to oxidise.